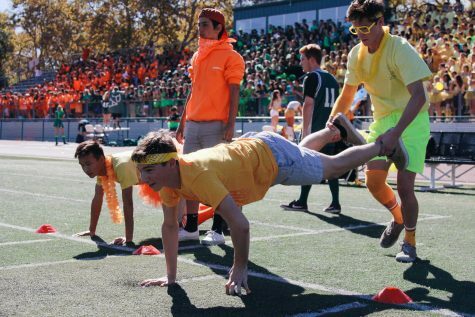 2000’s kids, rubber duckies, race car drivers, and Nickelodeon characters flooded the bleachers in 80-degree weather at lunch today for the first rally of Spirit Week 2017 at Palo Alto High School. 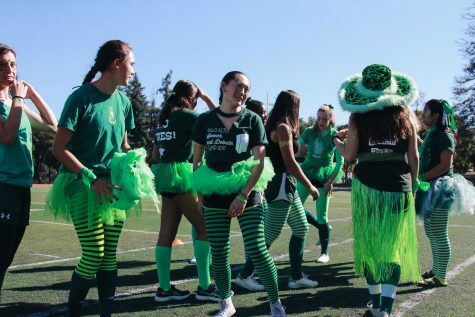 Monday’s dress code for the freshman, sophomore, and junior class corresponded with each grade’s respective themes, while seniors, Paly’s first class born in 2000s, wore fashion corresponding to the decade of their birth. 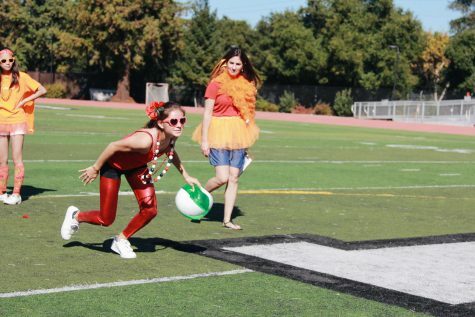 Teachers were also encouraged to dress up to the theme Monday Blues. The rally began with the presentation of the Best Dressed for each grade. Talia Stanley and Jake Varner represented the senior class for best dressed posing in all denim as the iconic Britney Spears and Justin Timberlake duo. According to Stanley, the idea originated as a Halloween costume. “My boyfriend, Jake Varner, wanted to do the Britney and Justin denim outfit a couple years ago for Halloween, but we decided to do it for 2000s day instead,” Stanley said. Stanley said she spent three hours hand-sewing her denim outfit. “I had to look up how to make a button down shirt into a strapless dress and then collect a bunch of denim,” Stanley said. Following the presentation of Best Dressed, the rally continued with the spirit competitions: Banana Bump, Pantyhose Bowling and Tennis Ball Bounce. Juniors pulled off a win in Banana Bump, while the seniors triumphed in both the Pantyhose Bowling and Tennis Ball Bounce. Junior Henry Saul represented the junior class in Pantyhose Bowling and bowled his way to second place in front of a energetic crowd. 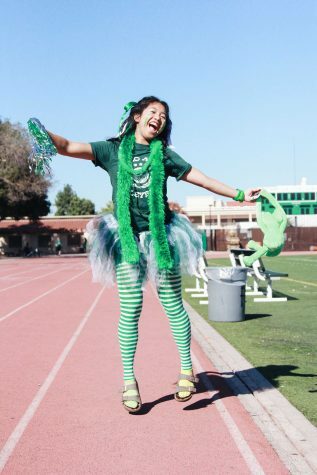 Despite not winning any games, sophomore Alexandra Lee sees improvement of the sophomore class from the year before. “We were doing a lot better than last year for sure,” Lee said. Freshman Hana Erickson remains optimistic about the rest of the week but sees the need for class improvement. 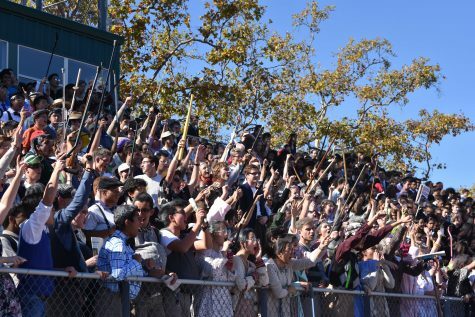 According to ASB Vice President Vivian Feng, the lunch rally went as expected. 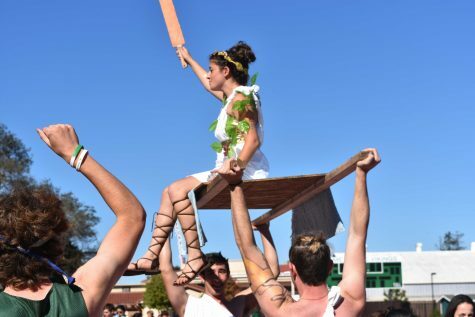 However, she urges more freshman participation as well. 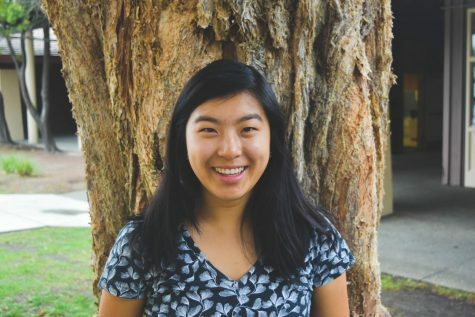 “Looking forward to seeing more freshman come out,” Feng said. Point totals will be available on the ASB Master Schedule and published on the Paly Voice. 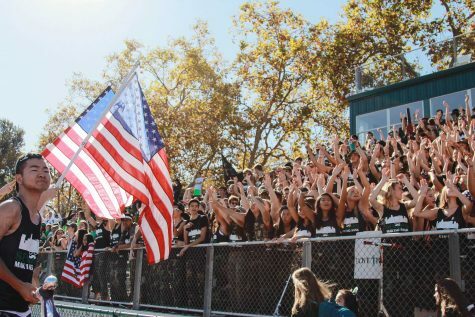 Continue to use #palyspirit17 on any social media posts in order for them to be featured on the Voice’s website. 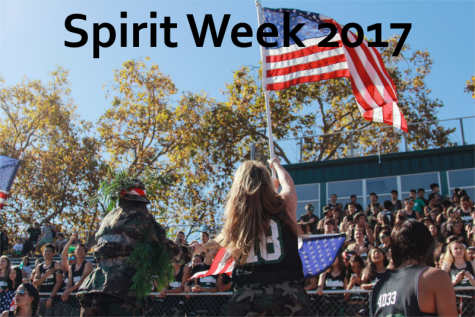 Day 2 of Spirit Week continues tomorrow with Salad Dressing Day.